It’s your town. You deserve to shape its future – and have your questions answered and your voices heard. As a former Farmington reporter and an interested citizen, I’ve followed city hall happenings pretty closely over the past few years. Every so often, I see people take the time to speak at council meetings or volunteer on city commissions—and then have their concerns overlooked. That doesn’t sit well with me. And when that happens, I know it’s equally frustrating to the folks who did participate to have others show up and try to change the plans last-minute… quite possibly because they hadn’t gotten the invite to contribute their ideas in the first place. That’s why I believe it’s so important we have people on council who’re really in tune with the folks they’re elected to represent. People who live here, live here because they love Farmington. We choose to live here, and we all deserve to have representatives in local government who’ll listen and speak up for the things we care about—things that make this town a place we love to call home. I’m in the communications biz, and in my field, rule #1 is to meet people where they’re at. Like it or hate it, social media is emerging as the newest variation of the ubiquitous town square. In a DDA survey last year, when local citizens were asked how they get their news, almost 40% said “from social media.” So if folks are on Facebook, you engage with them there and create a dialogue. If people like email newsletters, you put a signup link on the city website and send one out. Farmington doesn’t do much of either. 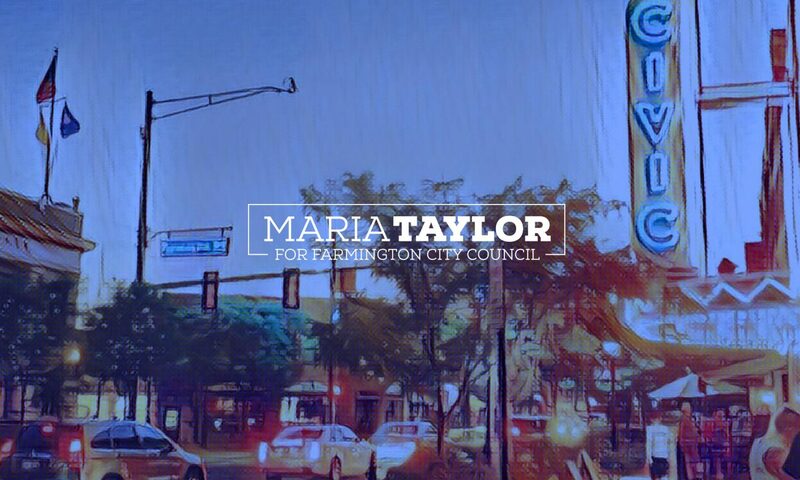 And with today’s press stretched so thin, Farmington needs to bring its communications up to speed for the 21st century so that people can stay informed about what’s going on. Northville, for example, sends an e-newsletter with upcoming events, road closures, and a roundup of what’s taken place at board and commission meetings (see one example here). Northville Township even has an app where you can report power outages and stray pets, pay bills, and call city hall from your smartphone. I’d love to see this here in Farmington—and I’ll head up the effort to make it happen!